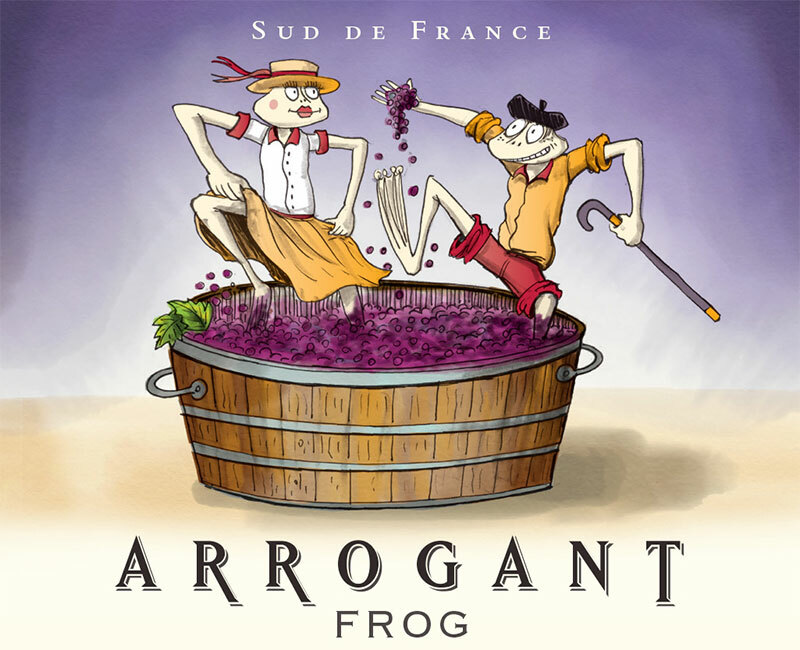 Arrogant Frog was born in the Hérault Valley in Languedoc in the south of France, near the Mediterranean sea, close to the small town of Pézenas which inspired the famous playwright Molière, and not far from such magnificent historic sites as the Canal du Midi. Arrogant Frog vineyards have been planted with Syrah, Grenache, Cabernet Sauvignon, Merlot, Carigan and Cinsault grape varieties for red and rosé wines, and Viognier, Marsanne, Sauvignon blanc and Chardonnay for whites. The vines are on gravely, clay limestone hills of the Hérault Valley and on the fossil bearing limestone hills overlooking the Thau Lake. Each of our wines has its own personality, bringing out the best of its « Terroir », New World Style. Perfect hygiene and permanent tasting during the winemaking are essential for making the Arrgogant Frog wines and achieving the goal : wines with fruit, body, elegance and style. 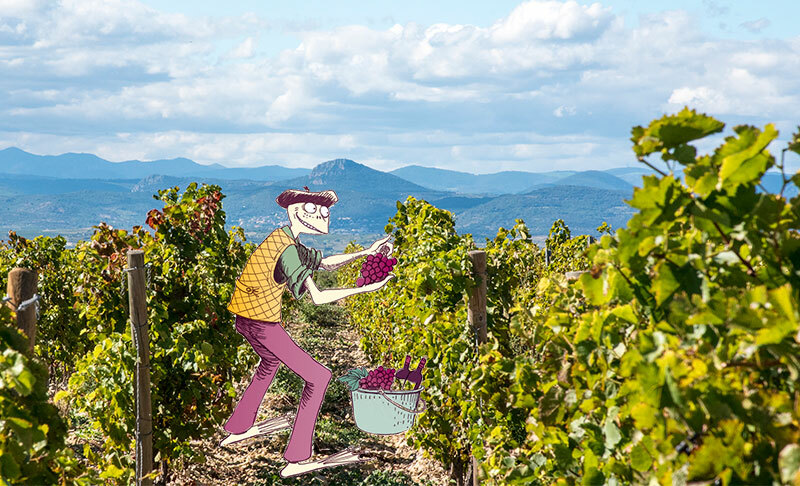 People are the most determinant and important factor in the wine making process for producing the best possible wines. 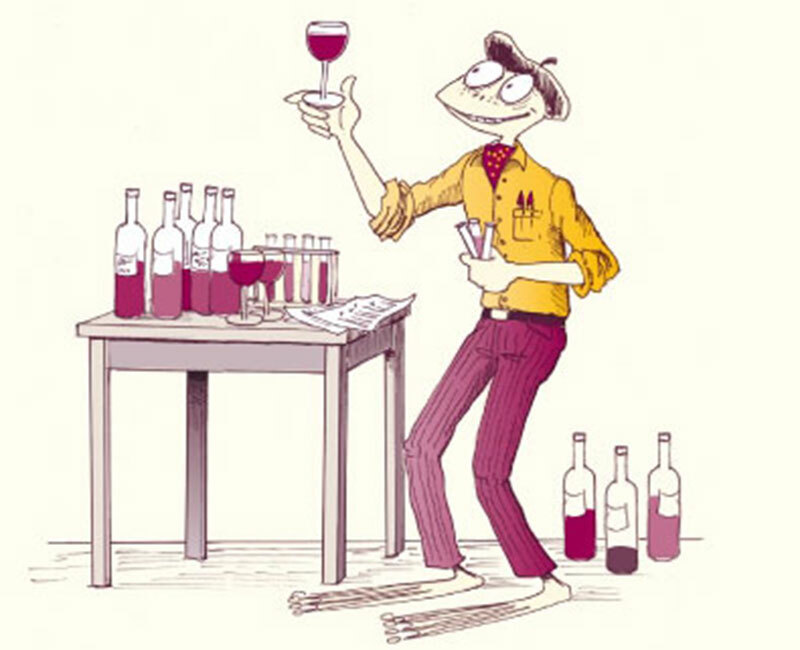 All wines, from fermentation to bottling, are controlled by the Humble Winemaker : « No wine will be bottled without making sure it meets your expectations ». Because it is essential to preserve our work when bottling and to offer it to the wine amateurs as if they were tasting in the cellar, the Bottling of Arrogant Frog wine is done under strict control of temperature and access to oxygen with a great attention to details with the best possible equipment. The quality of our wine is preserved in the bottle with a dependable screwcap, ensuring that you enjoy a great glass of wine every time.